Now that strawberries are in season, and access to it is much easier, since a lot of people had gone up to Baguio for the recently concluded Panagbenga festivities, preparing one easy dessert is a delight. A friend of mine started selling these bright red patches by the kilos. So when she texted me if I want to order, well, of course I did and not just a kilo, and the rest was a culinary history. Before I share one of the things I was able to make out those succulent berries, I do want to stress out some of the health benefits which I shamefully took in the net (credit to www.besthealthmag.ca), and just some of the reasons why I love them, raw and fresh. Here is a trivia, eight strawberries have more vitamin C than an orange, that's 140% of our daily recommended amount. Subic Bay is the Philippine's paradise for sports and extreme adventures. 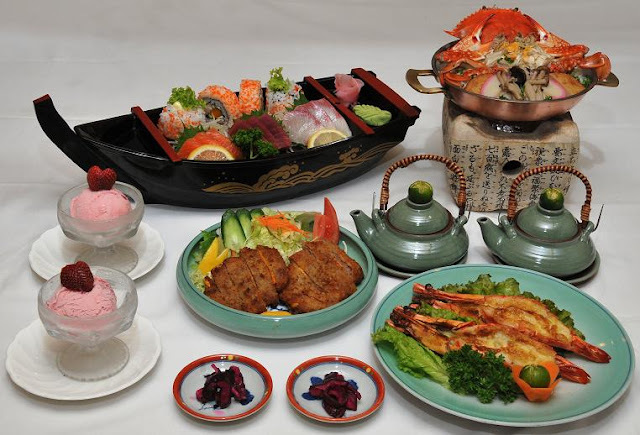 With its diversity in culture, the different cuisines have paved way in making every experience more stirring. 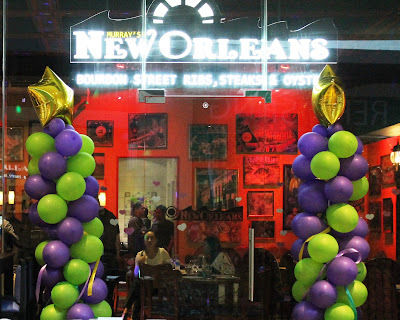 Added to the growing foodie and party trend is the opening of the Murray's New Orleans Bourbon Street Ribs, Steaks and Oysters. Murray's New Orleans Bourbon Street Ribs, Steaks and Oysters is now creating the ultimate bar experience in the heart of Subic Freeport Zone, within Ayala Mall's latest project, Harbor Point. 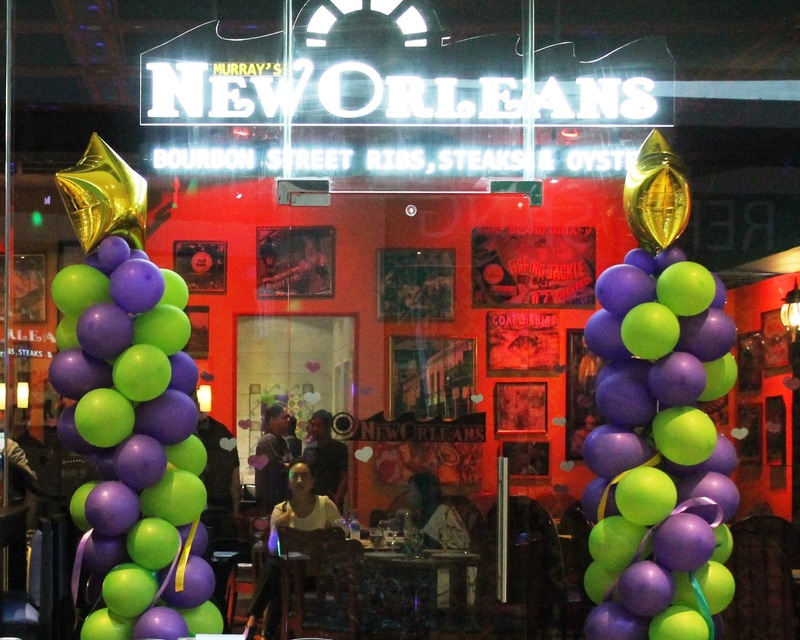 Murray's New Orleans, reflects the old Bourbon Street fare for the new and upbeat crowd. Magnified in the colorful interiors. The rustic and textured effect of a brick wall against the bright yellow wall which glorifies what New Orleans dining and partying is all about. Cooking without the proper kitchen tools or the practical kitchen accessory is a chore, but cooking with the proper tools is a pleasure. I am not a chef but I love to cook and bake, and most often I would play around in the kitchen and look for better ways to use with what's left over in the pantry or in the fridge. My kids would be so giddy hearing kitchen noises as I make a way for healthy snacks and yummy grubs for our meals. Most often than not, I would waste time, energy and yes ingredients, all because I am using the wrong gadget. I almost have it all, even those mechanical thingies that promised to make chopping and slicing oh so easy. But, still, call me old-school, nothing beats a good quality chopping board and really sharp knives. I'm sure many chefs would attest to that. You see, with the right tools you will be able to complete your cooking process sooner and can use the time you've saved doing what you really wish: spending time with family, awaiting for the next thrilling moment of your fave tele-novela or catching up on the latest updates in Facebook. I quickly learned that I had been using the wrong cutting boards for years. I always thought that plastic cutting boards were the way to go because they cleaned up easily and were less porous. To add to the boring collections are non-processed woods and those faux wood that you can buy cheap at the mall. To be honest, I have dumped dozens of them year after year. I couldn't be more happier now for having discovered Gastro Chef's cutting board. After attending the launching of Gastro Chef's new shop located at Chef Gusto’s Pizza, Pasta, and more in Legazpi Village Makati, I went home with one, and a chef's knife with it. After a sumptuous dinner tastefully prepared by Chef Panos Georgopoulos, media guests were introduced to Gastro Chef. I stumbled upon a website known as "How to Reboot your Life." The author talked about how he or she have been mentally stressed and felt unhealthy. With it, he also mentioned several tips on how one can fix all the unhealthy holes contributing to declining health, he called the process as "life reboot." I'm sure everyone had those moments when we could just simply click on the button "Restart" or "Reboot" when things aren't happening the way we expect them to be. But there isn't, we simply go on with our lives, either focused on the future or being held up with our past, which includes all the mistakes we did. You can of course follow Thought Catalog and some other self help books that are widely available. But have you considered counting your blessings instead and taking time to thank God, that you still have it, the life, where you can decide right now and right here whether to take the next best steps or to still soak on negativism, never knowing when it will it end. 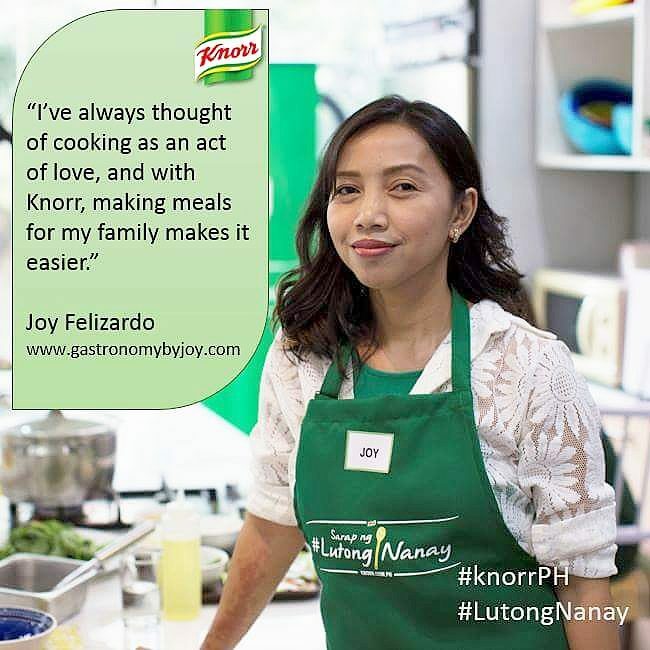 Gastronomy by Joy isn't all food and happiness, it was brought about by certain areas in the author's life that pushed life away from hell and started to accept that life is tough and you just got to learn how to live it. From pains and struggles, celebrations follows, inspirations came and bounty overflows. Aside from faith and love, we overcome and thus we celebrate. Also, in times when we need to get our hopes high, I cook, I bake, we eat, we take pleasure by reveling with it. Last December, we almost had our Christmas at the hospital. My daughter who has Diabetes had been stricken with Dengue. We could not blame anyone for this. I guess we just needed to find another good reason why it had to happen to us and to her. But, God is miraculous! He comes most often, on the right timing and though the purpose of it all is still unanswered, we just gave it all to Him. And indeed, He overcame, as always. Proving that He loves my daughter so much that she needed to offer a trickle of blood in return for Jesus' life and our faith to blossom some more. So you see we celebrated even in simple ways. And one of those simple ways is through my baking. Thus, I share with you this easy-peasy recipe that I always use, but made finer tweaks just so my DM daughter and in-laws could also take pleasure with it. I'm pretty sure, you still can't get enough of the Valentine's season and of course the chocolates. We still have a couple of days to savor the love month. If you are a guy and still haven't impressed your girl yet, Marriott Hotel Manila has something for you. Take her to a nice dinner, buy her some heart-shaped cheesecake, and bring her to the Great Room and show her the Chocolate Carving Exhibit, or better yet buy her one of the chocolatey artistry displayed there. I'm sure your loved one will get caught in awe as she marvels how "The Kiss" was portrayed with imported chocolates as it's only material. And for the man of your life, a chocolate miniature Ducati motorcycle, to inspire him more. Why not express your deep love and astonish her beauty with "Aphrodite" -the a statuette of the Greek godess of beauty, love and eternal youth. If she loves shoes and chocolates, then this is perfect! Oh yes, "Cupid" was also there! These chocolate carvings were passionately made by Marriott's Sous Chef Chris Balane. All these are waiting to be taken home and consumed (or not!). See them all before they get to be taken home at Marriott Hotel's grand lobby, The Great Room. They will be there until February 28! Remember drawing with pastels as a child? Those chalk-like crayons could always be counted on to lend a soft and diffuse effect to whatever you drew, from a dreamy landscape to a pint-sized portrait of the family dog. An interior designed with pastel colors can impart that same ethereal quality -- and work wonders for soothing the savage soul. When you've had one of those days at work that's left you in a state bordering on the indignant, returning to a home dressed in softer, paler shades can bring you back down from the brink. There is a tendency to regard pastels essentially as "feminine" shades more suited to bedrooms, bathrooms and dressing rooms. So if it happens that your house isn't designed in such a theme, you can opt to lounge in a restaurant or cafe that uses that design principle. Even in more formal places, these colors can work magic when used as a complete color scheme, rather than simply employed as accent colors. While these delicate tones lend themselves wonderfully to period room settings, they can work well in more contemporary spaces, too. 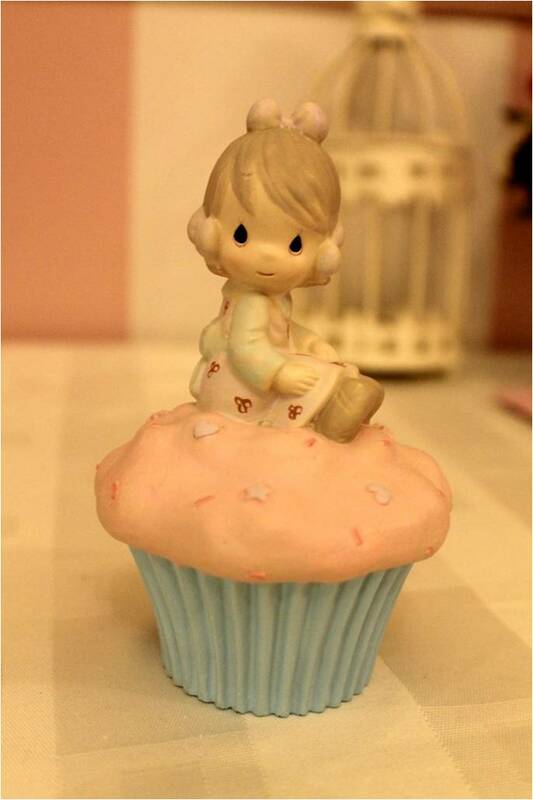 A case in point: The new 'sweet cupcake' theme of Precious Moments Restaurant and Gift-shop. From the elegantly dressed up Christmas theme, they trimmed it down to a charming and cozy laid-back set-up, but still kept that original Sam Butcher-hued inspiration. You can read about my previous posts on theme on the links below. I'm such a nutcase and a terrible writer. At first I was too hesitant to change the post title, which initially was "Bacon Goat Cheese Truffles with Roasted Bell Peppers. This was our Christmas appetizer which I reinvented but not that successful, or was it? I know, whenever we hear of truffles, the first thing that comes to mind is chocolate, or for the real gourmands, the 'fruiting body of mushrooms' which are rare and expensive ingredients for gourmet recipes. Well, to tell you a little something about the post title, I actually first did the recipe using goat cheese which we got from Mr. Moo's (in Tagaytay), since we celebrated our Christmas and New Year at Tagaytay. But then since it really looked appetizing all of us got so excited and immediately ate it enveloping each ball with crispy romaine lettuce, I forgot to take pictures of them. So, on our way down back to Manila, after New Year's Day, we went back to Mr. Moo's, but apparently they run out of goat cheese, so I got instead Kesong Puti, also known as white carabao's milk cheese. I didn't actually thought whether it would turn out the same. When you actually look at each kind they look the same, but if you go deeper to the details, such as the texture, taste and the science behind it, it is very different. Goat cheese, sometimes called chevre, is a cheese product made from the milk of goats. It is distinctive due to the tangy flavor of goat milk, as compared to 'farmer's cheese' ("kesong puti")which is soaked in brine and thus salty. Goat cheese are leaner than carabao's and are more gooey when cooked or heated. Kesong Puti, is like local Italian Mozzarella but saltier. What I found wrong about using Kesong Puti for my second try of the same recipe, is that it is not as compact as it was when I used goat cheese. Thus it was way too hard to make it into a ball. Another thing is I used way too many bacon bits which my bosses requested. But as you can see, I somehow managed to make a few. Which everyone actually enjoyed, without having to compare with the first try, which for me was better. It did turned out to be quite delicious. In a large bowl, combine softened goat cheese with peppers, bacon, garlic salt and pepper. Using a large spoon, spatula or even your hands, mix and stir until combined well and everything seems equally distributed through the goat cheese. Roll the goat cheese into 1/2-1 inch balls (or smaller or larger, depending on your preference), then roll through the pistachios to coat. Set on a plate and refrigerate for at least 30 minutes before serving. These can be made well ahead of time - I'd say at least about 3 days. Early February, Bhogs and I had finally agreed upon dining out. It had been quite a while since we last went out, only the two of us and enjoy a night and play romantics and of course be carefree with our choice of meal. It had been a quite engaging January with two wedding projects on our sleeves, family celebrations and bills up to our necks, but eventually God has been magnificently taking care of us and our family so I guess that would be more than an excuse to eat out. 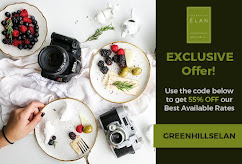 So out we go to Burgos Circle, though it took us hours to look for a parking site on the first Friday of Feb, it didn't fret us enough to go to Chef's Lab, and hey wouldn't you believe that, I finally found Kitchen's Best. The air was chilly and the walk to Forbes Town was far and all I could think of is how the dinner would be amazing. After being seated inside the resto, near the service area you could immediately see and expect the place to be filled with amazing kitchen aroma, and from where we were seated I can hear the sizzling action in their quaint kitchen. The dinner began with Grilled Corn Chowder, and boy, what a way to start the table running. Cobs of corns were grilled and grounded to a puree, thickened and flavored with bacon. The chowder was hot enough to ease the uncomfortably cool weather. But as I got to savor more spoons of it, I tasted something that was not quite right, thus we proceeded with the salad leaving our bowl half empty. The Vegetables and Greek Salad was good but typical. My hope was still high though, after all, this joint is owned by my favorite chef, Chef Bruce Lim. I was deeply saddened when I found out that Chef's Table closed down, and I've been dying to try again his Calamansi Tuyo Pasta, which I tried from their other resto, Hyphy's, well which also disappointingly closed down. And finding out that it was not in the menu of Chef's Lab, this really put me down. Eagerly waiting for our main dish, I had ordered a glass of Mango and Black gulaman concoction, which would be a must when visiting here. It's a slush of perfectly blended and creamed mango, sweetened more with luscious pandan-flavored black gulaman. For our main, we had a plate of tender and succulent Honey Glazed Salmon and robustly-flavored Bistro Steak. The Honey Glazed Salmon would be a trade-mark of Chef Bruce' cooking, I suppose, were he literately use fruit compotes or syrups and honey to put more flavor in to the meat, in this case the fish. The steak slices were laid on a bed of crunchy veggie nibs. We had the two with plain rice. But nothing spectacular yet though. Then there's dessert. We had a sizable serving of the decadent Chocolate Mousse and a delightful Fruit Tart. The Chocolate Mouse was okay, with every spoon as silky and chocolatey as could be, but what I really like about the it is the crunchy topping, a number of what looked like sticks on top of shaved milk chocolate were put as adornment but to me was simply fantastic, making me want to make a batch of it at home. What they are really, are just candied orange peel which was crispy with every bit of that citrusy orange aroma. I really can't say much about the other dessert. It is actually a tweak on the regular fruit cocktail though made more syrupy and set on a hard pastry shell. So, what happened here? Where were those dishes that I've dreamed of, which actually defined what fusion is for me. Wishing still that I can glint the luster which was previously there when I chanced upon the glorious creations that was, from a good celebrity Chef. For something to be defined as “signature dishes” it’s already successful. But for a restaurant with a solid fan base says that there’s something for a limited time only, it should capture anyone’s attention. And for the first time in twenty five years, Chateau 1771’s executive chef Vicky Rose Pacheco introduces her top picks for lunch and dinner set menus for the Valentine’s Day: a feast of light, fresh and festive for lunch while dinner features the rare French classics. For lunch, worth the highlight is the watercress soup with lavash bread and its relieving, sophisticated texture. A natural super food, it’s heartwarming and oozing with revitalizing nutrients. 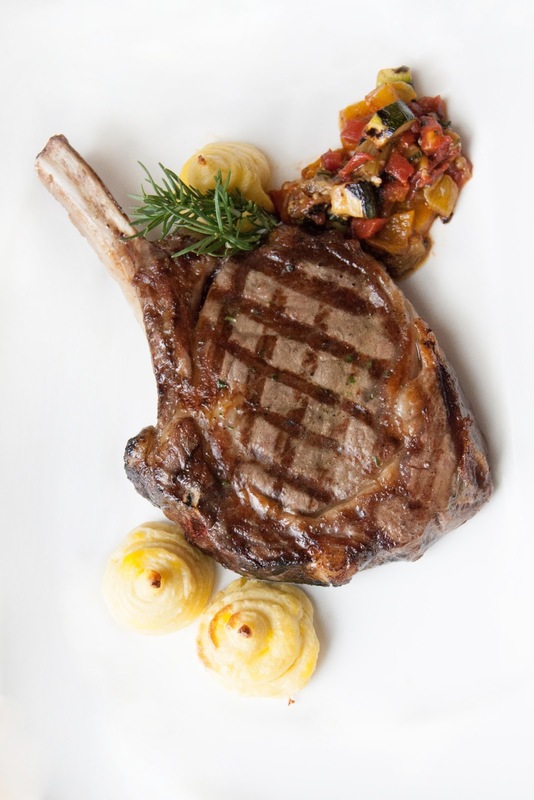 While the main course, it will give you two options, but since grilling steak is a serious business at Chateau 1771, the seared U.S. beef tenderloin with blue cheese stuffing (P1, 300+) is a hefty reward for any meat lover. Made visually appetizing with grilled eggplant, zucchini, broccoli drizzled with roasted potatoes and fragrant roasted potatoes in olive oil, rosemary, and thyme, the 200 grams of pan seared beef laced with roasted garlic bacon sauce is brimming with juices and stuffing in every slice. If a version of this kind of flavor is what you’re rooting for but shying away from meat, go for the baked fish of the day (P1, 100+)—grilled and made tender with lemon, capers, thyme, and almonds. Judging from the risotto’s heavily-packed add-ons such as squid, shrimps made tasty in chicken and fish stock then topped with butter and parmigiano reggiano as a tasty finish, the risotto is the only fitting pair for a delicately cooked main course. Dessert is as special as it features the melon’s juicy sweetness. 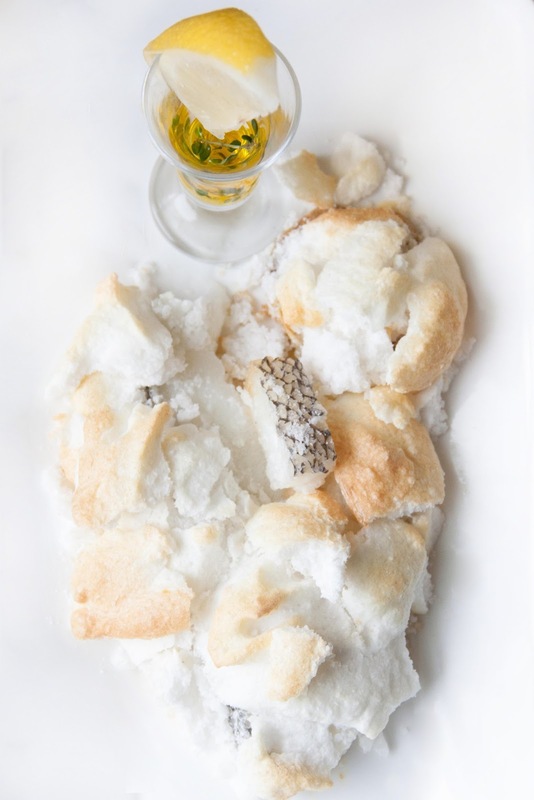 Called the white cloud melon sabayon, it’s a refreshing dessert, lightly sweetened with poached meringue on whisked custard with melon and amaretto. If planning for a romantic date, fork it out with a hot French dinner affair. 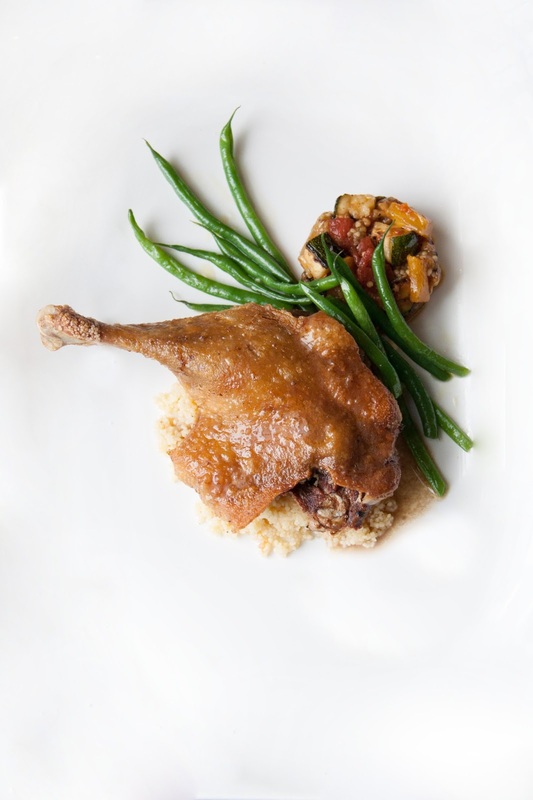 Inventive and made from the freshest raw ingredients, Chateau 1771’s French-themed dinner focuses on the tasty yet uncomplicated classic dishes that are hard to find. For the soup, give the Swiss brown mushroom vol-au-vent with greens, edible flowers and pomegranate dressing a try. Delicately baked and in-house made, the French puff pastry round shell is filled with a creamy mixture smacked with garlic and thyme then deglazed with wine. With Swiss browns or the baby Portobello as the star in this soup, it results to an intriguing and heartwarming full-bodied taste. Using a prime steak cut, the U.S. Angus bone-in rib steak with café de Paris butter (P2,600+), Duchess potatoes, and grilled ratatouille is every inch an irresistible meat from its cut to flavor. A ¾ inch thick slab of meat with the bone-in, it’s meant to be smothered with café de Paris butter spiced up with tarragon, rosemary, basil, and thyme with a spike of cognac. If in the mood to try something exotic but not exactly like it, go for the French countryside comfort--the Rougie duck leg confit (P2, 400+). Another rare find, the duck meat is cured with salt, cooked in a special Dutch oven with the most-prized duck fat giving the flavor more depth and producing a velvety piece of meat. The result? A super tender meat that almost falls off the bones! Good meal deserves a happy ending, so try the chocolate valrhona ganache tart with gorgonzola crème brulee on the side. Marrying the slightly salty flavor of Italian blue cheese and exuberant characteristics of chocolate valrhona plus the creamy and rich crème brulee, this dessert promises a palate-tickling cross between salty-sweet. Capturing the unique beauty of her thirty years of professional cooking expertise that extends right into her kitchen, executive chef Vicky transforms raw ingredients into straightforward yet elegant four-course meals for the Valentine’s Day. So this February, let Chateau 1771 guide you with the ultimate way to love with her limited time offer meals. Chateau 1771 – Greenbelt 5 is open from 11 a.m. to 11 p.m. every Sunday to Thursday and 11:00 a.m. to 12:00 m.n. for Friday to Saturday. For reservations, banquets and catering services, please call 729-9760 to 61 or (0917) 8626467. 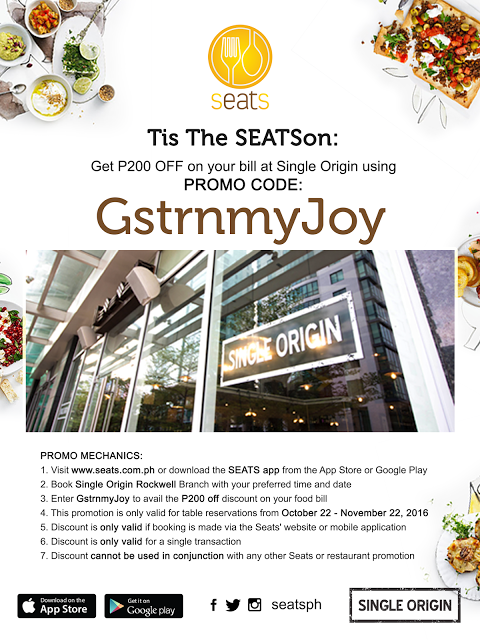 Chateau 1771 is a member of the Chateau 1771 Group of Restaurants that include Sentro 1771 in Greenbelt 3, Sentro 1771 in Serendra, Bonifacio Global City and Café 1771 in El Pueblo Real de Manila, ADB Avenue cor. Julia Vargas Avenue, Ortigas Center, Pasig City. 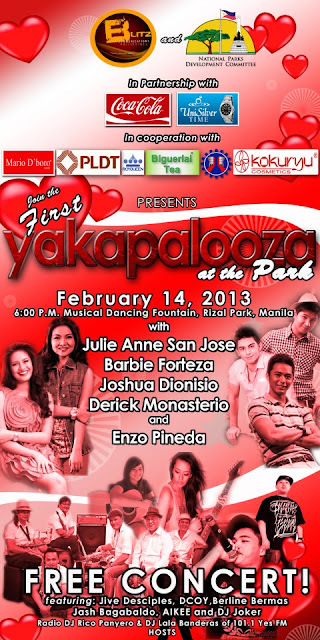 The National Parks Development Committee (NPDC) is inviting everyone with their loved ones and friends to take part in the first-ever “Yakapalooza at the Park” on Valentine's, Feb. 14, at the Rizal Park that will be celebrated via free concert. NPDC spokesperson Kenneth Montegrande said the event will be staged by Blitz Communications Philippines (BlitzCom) in cooperation with Unisilver TIME, Mario D’ Boro, Coca-Cola, FEMSA Philippines, PLDT, Stage Crafts and Department of Public Works and Highways. “Yakapalooza at the Park” will start at 6 p.m. near the Musical Dancing Fountain after the free “concert at the park.” The event will be graced by some of the country's fast rising stars, bands and singers such as Bea Binene, Barbie Forteza, Julie Anne San Jose, Joshua Dionisio, Derick Monasterio, Enzo Pineda, DJ Joker, all members of the group Jeepney Music led by Allan Pineda. Also gracing the event are DCOY, Ikee, Jash Bagabaldo and jazz performers Jive Disciples. 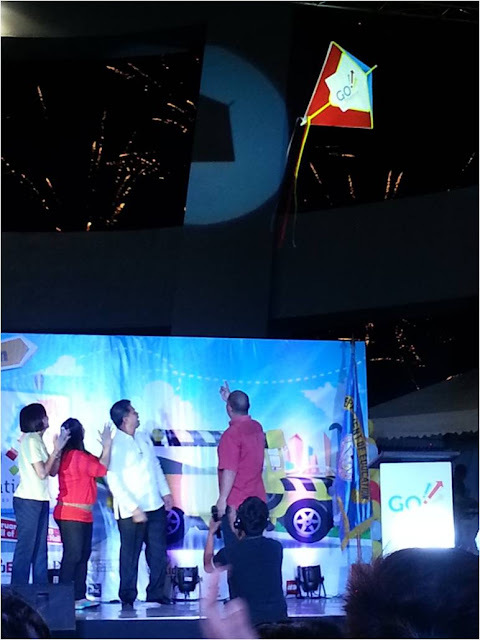 Top radio jocks DJ Rico Panyero and Lala Banderas of 101.1 Yes FM will serve as hosts. Prior to the love hour, there will be a countdown a minute before to be led by NPDC executive director Dr. Juliet Villegas and other top ranking officials of NPDC. 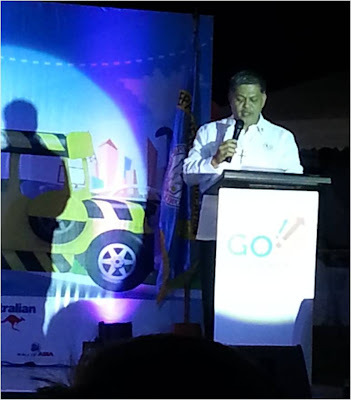 Montegrande said it's a noble aim of BlitzCom and NPDC to give the public a meaningful way to celebrate the day of the hearts where everyone can show to their loved ones and friends that Valentine's is for everyone who knows the true meaning of love. 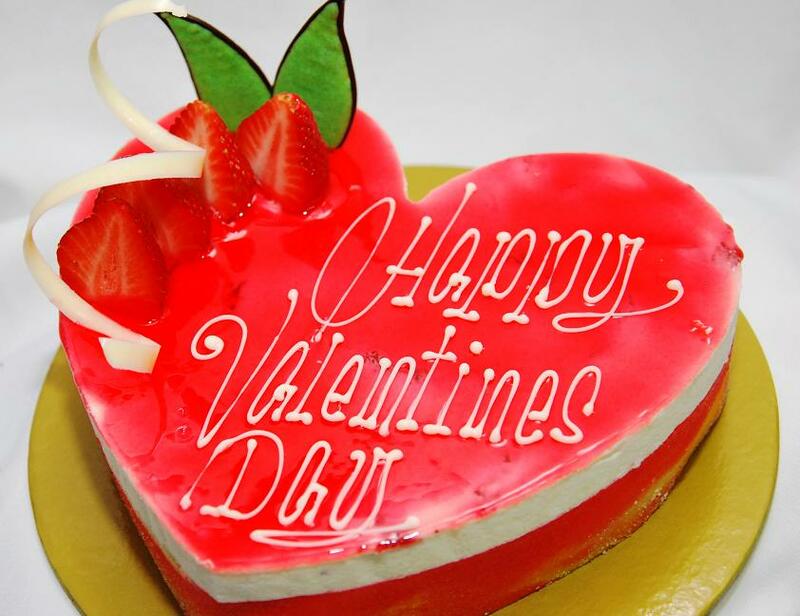 “Valentine’s Day is one of the most important ocassions where you can show to your loved one how he or she means to you without spending a single centavo. Love knows no boundaries even in this very empirical world that we live at. We want to prove that and Rizal Park will be the mute witness for that meaningful moment,” the spokesperson said. The official shared what he read from The Daily Mail, a leading tabloid in UK. According to studies commissioned by the University of Vienna, a 20-second passionate hug increases humans' memory level, lowers stress level and normalizes blood pressure. The effects are contrary if the hug is un-passionate, especially if any of the parties involve is coerced, according to the study. “…According to a research from the University of Vienna, you have to be, however, selective over who you hug. Giving a polite embrace to someone we don’t know well can have the opposite effect,” the official report said. The UP Economics Society (UP ECOSOC), a non-stock, non-profit, socio-civic organization anchored on the provision of free education of its scholars is said to host another event dubbed as the second season of FOODGASM. FOODGASM II is a one day food tasting competition which aims to showcase the up and coming food establishments in Metro Manila. 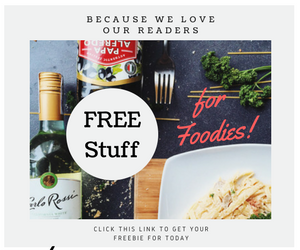 So, are you a certified foodie, or a gourmand who is always on a hunt for new food creations? 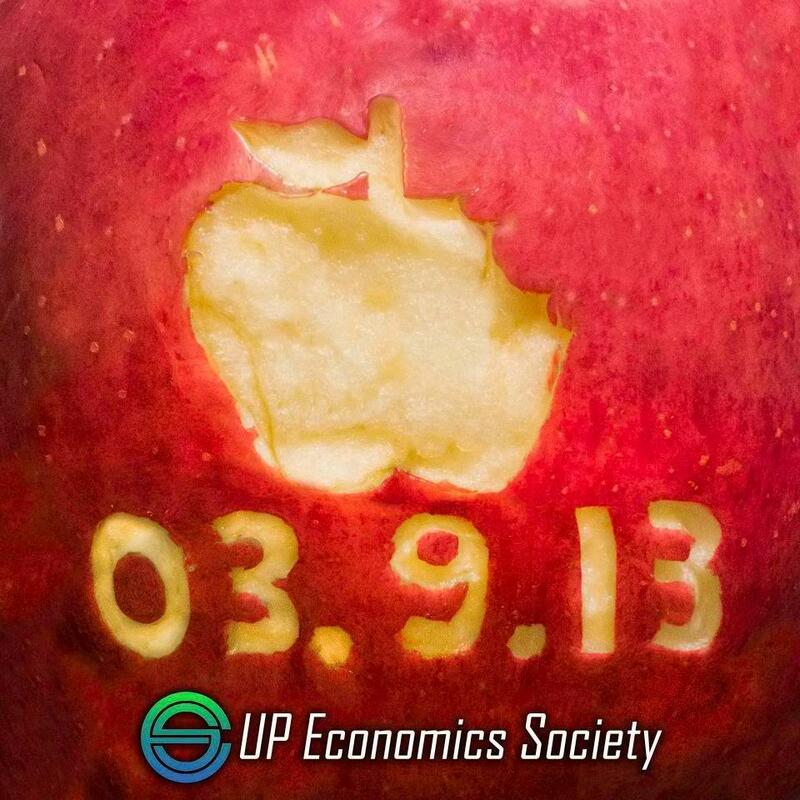 If you answered yes, then be ready for a treat and watch out for the yummiest event in the metro this March 9, 2013. Now if you think you have it to be one of the participants who owns an aspiring food business , I dare you to join the yummiest event in the metro this March 9, 2013 at Mercato Centrale. 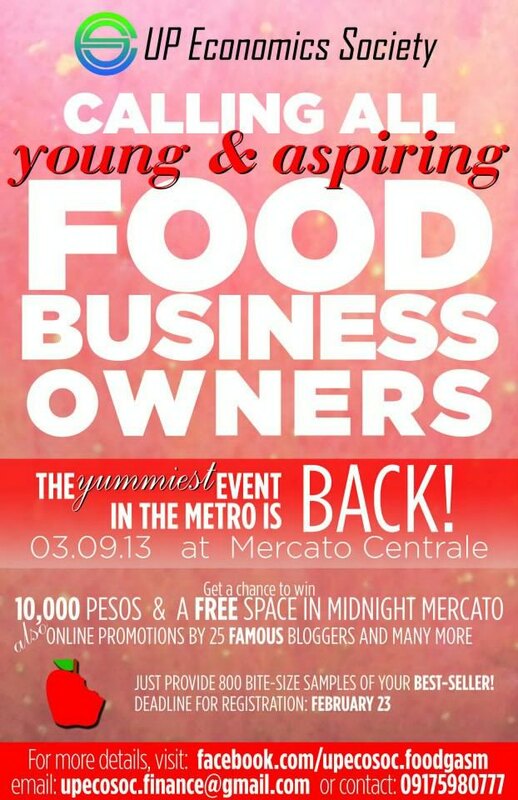 Wouldn't you want to win 10,000 pesos, a free space in Mercato, online promotions by 25 famous bloggers and many more! Just provide 800 bite-size sample of your favorite best-seller. Do check this blog from time to time for more updates. See you at the next exciting food trip in town come March!